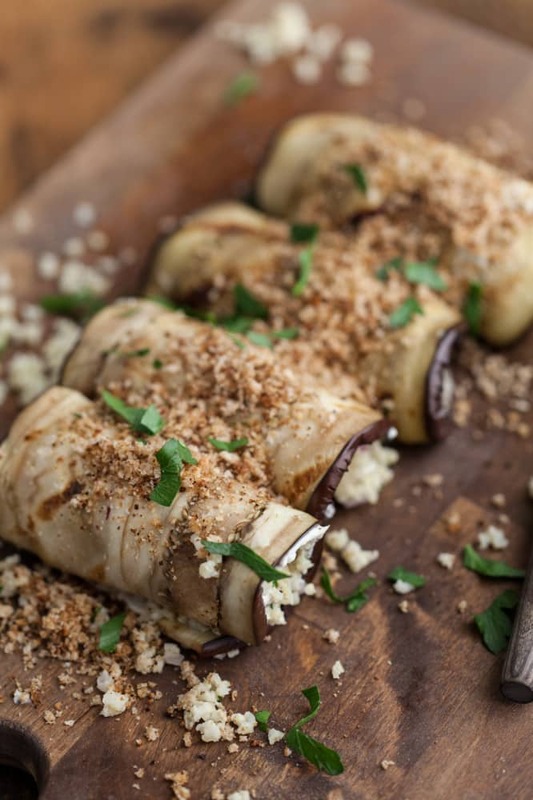 Grilled Eggplant Rolls with Cream Cheese and Herbed Millet | Naturally. Another week, another post in the ingredient challenge series. For those of you unfamiliar, every other Monday I ask for readers to send me three ingredients currently in their kitchen. I take those ingredients and prepare a meal that is hopefully simple and inspiring! The first challenge was all about summer with zucchini, tomato, and buckwheat (which resulted in these stuffed zucchini) and I figured I should continue on the trend of summer for just a couple more weeks with the suggestion of using eggplant. These look beautiful! I have eggplant all the time but I never would have thought of eggplant rolls! Definitely one to try! Looks amazing Erin! I love stuffed eggplant, it always reminds me of Sicily! Those look delicious, and so unique! You rock. Love these ingredients Jacqui suggested! I use millet flour often, but I’ve never actually cooked with millet. Going to have to give this a try! Holy yum!! 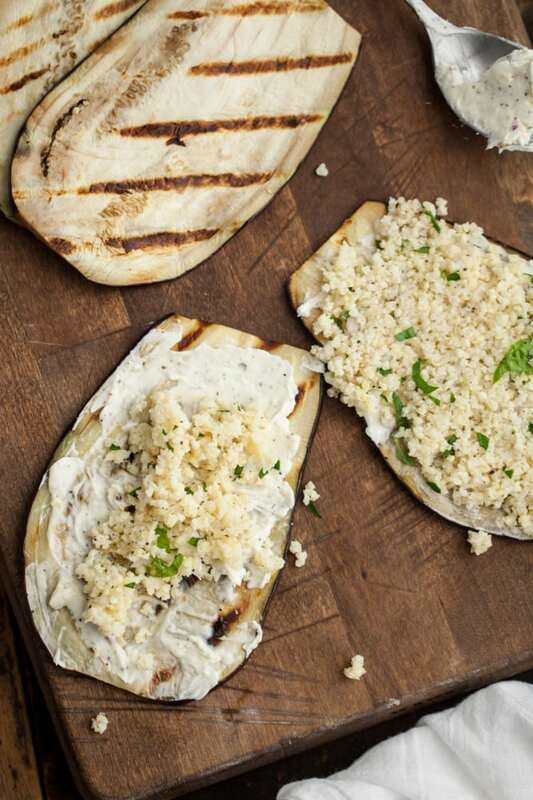 Love how you rolled up the grilled eggplant. This looks fabulous! What a fantastic way to use millet. I love eggplant any way it’s make, but this rolled version certainly makes for a heartier-feeling entree. I love this ingredient challenge series! So amazingly creative. Can’t wait to try out this unique recipe! Ella i can never really think of good use of eggplants. This looks so delicious! 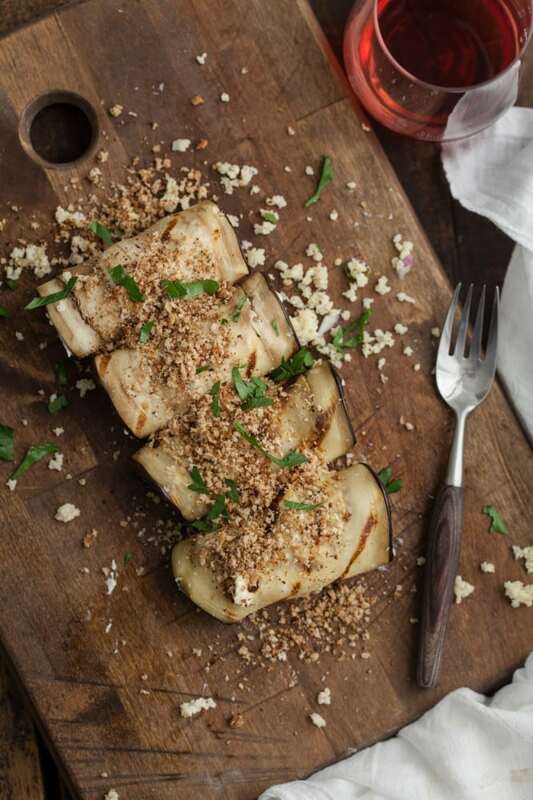 Honey and eggplant are definitely two ingredients I’ve never thought to pair together! This definitely intrigues me. 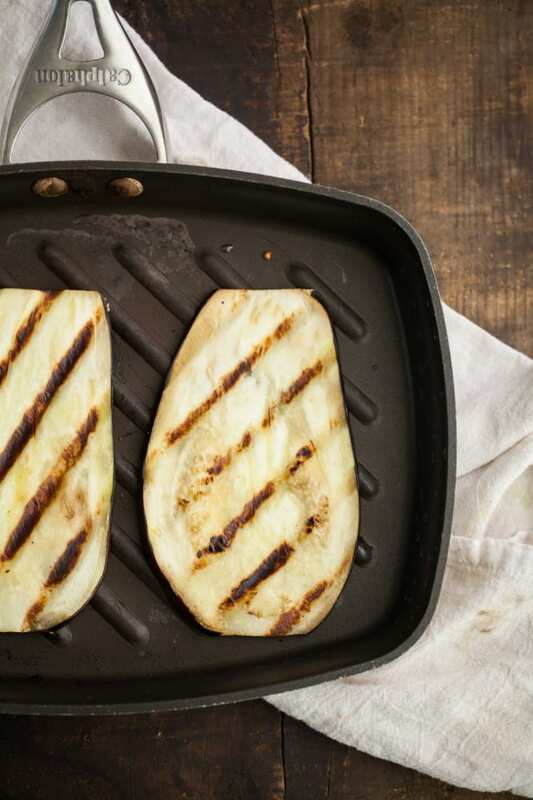 Now I know what to do when my annual late summer eggplant obsession hits! Made these tonight with vegan cream cheese-works perfectly! Thanks for a great recipe! Unique pairing and a divine recipe. Thanks for sharing. Think I could do this with just throwing the slices under a broiler? I don’t own a grill pan… or a grill. I think that would work just fine- just keep an eye on them! Interesting recipe, very creative, I love eggplants. Thanks for sharing. I made these over the weekend and the flavor is more than the sum of its parts (and that’s about the highest compliment I give a recipe!) I served them to family – the toddlers gave them a lick and walked away, but the adults scarfed them down. 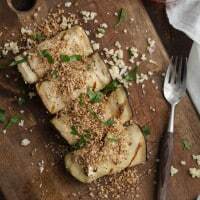 I made a few alterations to your recipe – i roasted the eggplant slices in the oven (using the routine from the eggplant, spelt and fig chutney recipe – excellent too BTW! ), spread them with hummus (made from yellow lentils) and omitted onions from the quinoa. I sprinkled some with za’atar and some with toasted sesame seeds, both are good. I guess you could say the recipe is highly adaptable and survived my tinkering very well! Thanks so much for the recipe! Oh! The recipe calls for millet?? Well, I had cooked quinoa in the freezer, did not even think about using anything else. Next time!